Got to know a brother-in-Christ this week at an event and realised we lived just across the road from each other. Strangest thing was that our direct train back home had so many unintended diversions. We even got on a completely different train line and ended up having an extended conversation. It is amazing how he resigned from his job that demanded him 14hrs work day, six day weeks with his wife’s encouragement, and now working in the Diocese and doing missions. When he first said he is going to West Timor, I honestly thought I heard wrongly. No Singaporean I knew ever mentioned West Timor the last 10 years. The YWAM article did a great summary of the journey there but there are a lot more details that brought me to my knees in full amazement of God, even to this day. I wrote the details in my old blog but that blog was long gone when the platform closed. I did not save my posts. So I am recounting from memory right here as my journal ten years ago is tucked deep in storage. This story was in the year 2009. I had a year term to be in East Timor as a missionary after my YWAM School of Frontier Missions training. Due to the unrest of the new independent East Timor then, the departure to East Timor was delayed for almost a year. Deep within my spirit, I knew I had to be there. So I started a 40 days fast and pray to seek God. One of my intercessor friends praying with me told me to read the book “Like a Mighty Wind” by Mel Tari. “Like A Mighty Wind” recounts the mighty revival poured out in a small village of Soe in West Timor in September 26, 1965. Accounts of dead being raised, food multiplication in a poverty stricken island and many miracles were recorded. It was an exciting read but what did it have to do with my term in East Timor? It became clear that God was directing me to West Timor instead of East Timor as we prayed into this more. As crazy as it was, I knew deep in my spirit that I had to be in Soe on 9 August 2009. 9 August is the National Day of Singapore, the day of Independence. I am so thankful for the intercessors and friends who helped in so many ways. One of the foremost task was to find a mission agency who had operations in West Timor. YWAM has a East Timor base, but none in West Timor. There was a missionary who went in and out of West Timor periodically but somehow even with his mobile number, no contact was made. None of the mission organizations we knew had any connections in West Timor. So this search went to nothing. God placed such a strong conviction in my heart that even if there was no mission agency to receive me, I will go. Alone. It will be for seven days. So it was decided and as crazy as it was, my mother had the peace to release me. The intercessors praying with me also confirmed this. The next practical step was to book my flight. I found out online that my flight had to land in Kupang airport and Soe is at least 3-4 hours uphill drive. Ten years ago, domestic flights to small towns in Indonesia were not available online. I had to call several travel agencies to enquire about the flight. Most of them did not even know the existance of Kupang airport. Two agencies got back with flight prices and they cost over $2000! I did not have that kind of money to pay for the flights. Plus, it was completely ridiculous to pay so much for flights when West Timor being part of Indonesia is the second nearest country to Singapore after Malaysia. I asked a church friend who traveled frequently to Jakarta to help me check with the travel agencies in Jakarta. He managed to get me a flight from Jakarta to Kupang at 10% of the quotations I got. So I booked my Singapore flight to Jakarta departing Singapore on 8 August 2009. My friend offered to book me a hotel in Kupang upon arrival as my flight arrived at night, around 9pm. Kupang is no big city. Once the sun set, everywhere was dark and people were at home. Yet, I heard the Lord said so clear and loud “You don’t need a hotel. Someone will pick you up and you will have somewhere to stay.” I had to turn down the security of a hotel booked upon arrival. I felt there was no room for plan B or backup plan as God was directing so strongly in this whole matter. I boarded the flight to Jakarta on 8 August without knowing who was going to pick me up at Kupang airport and where I was staying. Backing out was not in my mind at all as there was a very strong sense of God’s leading. I remembered boarding the airport bus that brought me from the international airport to the domestic airport in Jakarta. Fear did set in as my human thought process kicked in. The struggle went on at the domestic airport. If no one picked me up at the airport, I will just spend a night at the airport anywhere. No big deal. This was not the first time I traveled alone. But it was my first to a place where I had little information about. I boarded the flight to Kupang, which made a stop at Surabaya to pick up more passengers. I had my usual window seat and my left was empty. I appreciated that “space” to connect with God, without distractions to keep my line with God open at all time. At Surabaya, an elderly well-mannered man sat next to me. He had several missing teeth but a very endearing smile. He tried to make conversations with me, but my almost non-existing Bahasa was aided by a simple electronic translator. So he typed in word by word to ask me questions and I did the same. It was quite amazing how far the conversation went. I knew he was a pastor for a church that is outside of Surabaya. He was visiting his son who was teaching at a Bible School in Kupang. I told him I was going to Soe. I did not even pronounced Soe correctly. He taught me that it was two syllabus, “Soh-eh“. As the flight was on its descent and just after the announcement to buckle up, the elderly pastor popped the million-dollar question, “Where you stay?” I managed to tell him I did not know. He immediately offered me a night’s stay at the Kupang’s Bible School, which I did not even know what is its proper name. True enough, I was picked up on a motorbike as an unexpected guest. The roads were dark as there were no street lighting. I had absolutely no idea where I was going, except to trust God. The teachers and staff at the at the Bible College were cracking their heads in how to help me with my mission. The final decision was that one of the teachers would take me to Soe on the motorbike the next morning. It amazed me that they never once doubted my mission. They were fixated on helping me fulfill it. No one dismissed me, a young lady from a city, who was completely clueless except for the call I heard from God. Upon sun rise, we set off. I thank God that I was a light traveller. I only had a duffle bag with me and not a trolley luggage. I could easily sling my bag over myself as a pillion rider. Riding a motorbike was not unfamiliar to me but this ride was different. We were going up the mountain. It was back breaking. We were not on a big bike, but a small one with a small engine. We got to Soe in about four hours. We first arrived at a house in Kupang when everyone was having lunch. So we had lunch with them. After a very brief introduction to the owner of the house, the men went into some deep discussion. I could not understand what they were saying but I figured they were deciding on what to do with this Singaporean girl who just appeared out of nowhere. Finally they made a decision to bring me to this particular family because the wife could speak a little English. We came to this lovely home of the Selan. We sat in silence in the living room for a long time. The presence of God was strong but no one spoke. Everyone was seeking the Lord, needing to hear from Him. Finally Mrs Selan broke the silence. She said seven days ago the Lord told her and her husband to fast and pray. On the seventh day, the answer to their prayers will come. I landed in their home on the seventh day. A silence of awe fell again as we took in the implication of all these. They got me settled in their guest room. I had a nice single bed, table and a wardrobe. Better than what I imagined. I was prepared to sleep on the ground before I started on the trip. That very evening after an early dinner, I hopped on the Selan’s car. They told me that I will be sharing the Word and do ministry in the evening. I was NOT prepared to be sharing the Word. So I hid in my room seeking the Lord that whole afternoon. John 15 was the Scripture passage. Excited but I was terribly nervous. They managed to find an English teacher to be my translator when I spoke. The people in Soe gathered in different homes every night for prayer meetings. They meet to worship, to listen to the Word and pray. I shared in 3 prayer meetings that very first night. Once I finished speaking and praying, I was whisked off to another. In the short car rides between these homes, I saw houses with lights against the pitch dark night. To think that these homes were prayer houses were just so amazing. When we got back to the Selan home, I was told that I had to preach a sermon at the largest church in Soe of 12,000 members. Mrs Selan was concerned about my attire. I was not prepared to be on a pulpit to preach. I was prepared to rough it out, and perhaps more a prayer and recce trip. She was trying to give me her jacket but it did not fit me. As a well-trained missionary, I had my long skirt and put on a long sleeve top. Decent, but perhaps not formal enough. My heart almost went into my stomach when I was how high the pulpit was. It was not a stage, it was a pulpit similar to those in some old European churches. Really intimidating to speak from there, at least for me. This was a Lutheran church. I had to take many steps up to the pulpit. The people were 60% smaller from the pulpit’s vantage point. That service probably had 4000 people as they had a few services. There were many more miracles and testimonies in the remaining five days in Soe. Perhaps I will recount them as the memories surfaced. I even met Mel Tari’s brother who is now living in Bali. The Selan became my Soe family. I had been back several times with long stays. I truly believe that if we seek to obey God, amazing things can happen. The window of time for Soe for me closed in about a year and things came to a complete halt. I had not been back there the last ten years. They never left my heart. Unwillingly, I had to put down the baton and I always wondered who the Lord called to do the work. My heart leaped for joy when I knew that a small group had started to go to West Timor five years ago. God is so good! White Stone Experience is a dream I never knew I had until God led me to it. Never in my life I actually thought that I will be a owner of a travel agency. Not even once. When I embarked on the journey, I am deeply aware that God knows me better than myself. I am passionate about the nations and travel is part of it. In my own small mind I would never have dreamt of this and now it is the beginning of this journey of walking this dream I never knew I had. White Stone Experience is a travel agency that seeks to serve the body of Christ with travel services. Not the usual flag tour packages, flights and hotels but wanting to create travel experience that goes beyond the rest & pleasure for our physical and soul, but also nourishment to our spirit, taking us deeper in our relationship with God. We first registered the partnership in 26 July 2013. We incorporated it on 25 Mar 2014. Since then we tried to meet the criteria set by Singapore Tourism Board in our application for a travel agent license. We first applied for the license on 16 Oct 2013 but couldn’t complete the process as we didn’t meet the criteria. It was until July 2014 that we officially put in our application on 10 July 2014. Tonight, 3 October 2014 7:55pm an email was sent to notify us that the license is approved but pending payment! I made payment online and tonight at 11:16pm we got our license! Today is Yom Kippur, the Biblical Day of Atonement whereby it is a solemn day of repentance. With the death and resurrection, him being our high priest and perfect sacrificial lamb, followers of Jesus Christ do not have to bear the same fear to come before God. It is today God chooses to demonstrate His power and faithfulness to us by releasing the license to us. White Stone Experience website is www.whitestonexperience.com but it is still very bare. We will update it once we start putting things in place. We have a Facebook page too at https://www.facebook.com/whitestonexperience. It all started in mid-April when one of the worship leaders for CHIJMES Worship suggested to me that we should do a 12-Hour worship in CHIJMES Hall. Perhaps on Vesak Day 13 May 2013. Although my heart and spirit were excited about it, but my mind was uncertain as the CHIJMES Hall is usually fully booked on weekends and public holidays. The miracle of the 12-Hour CHIJMES Worship started. I went to check the bookings of CHIJMES Hall and realised it was actually available on Vesak Day. I knew the Lord has blocked it for His use. 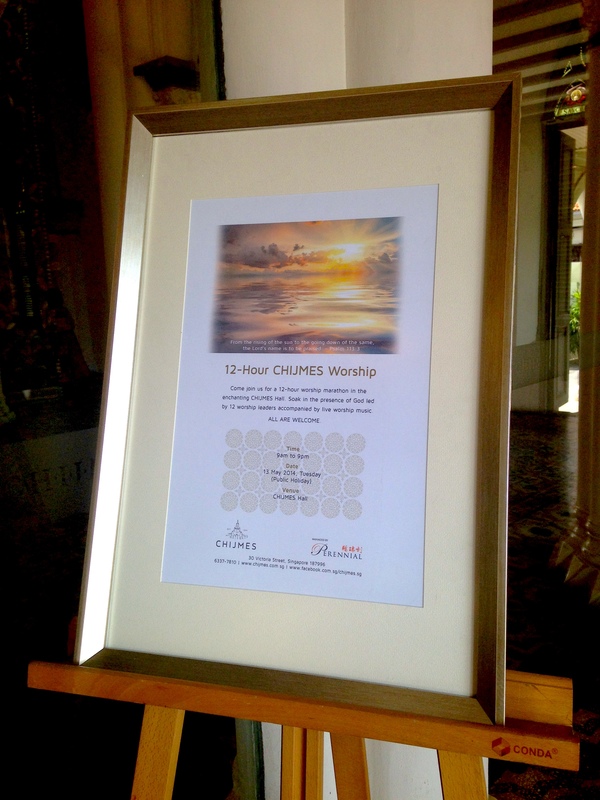 The management of CHIJMES approved and supported the 12-Hour CHIJMES Worship and provided the resources needed. The miracle of gathering 12 worship leaders (and teams) for each hour within a week was definitely a confirmation for me that is was of God! I was jittery whether we can get that many worship leaders in such a short time for something so new. Good worship leaders are often hard to gather as they are usually so busy with ministry in their church. In a week we had 12 amazing worship leaders with such passion for the Lord in place! With only two weeks to publicise the event, it blows my mind to see the hall filled with people. This was the greatest concern of CHIJMES management of how to get the news to the Christian community in such a short time. 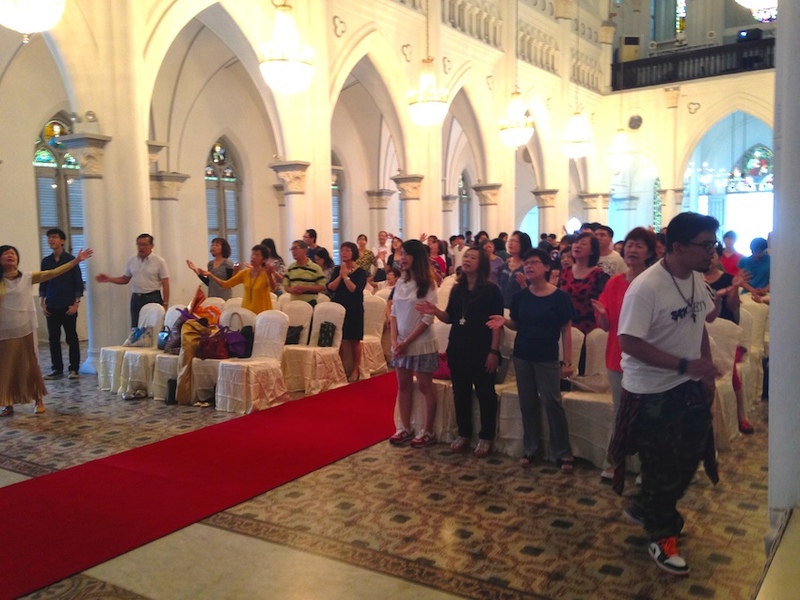 At about 8.30am there were small groups of people who were already waiting for the worship to start! 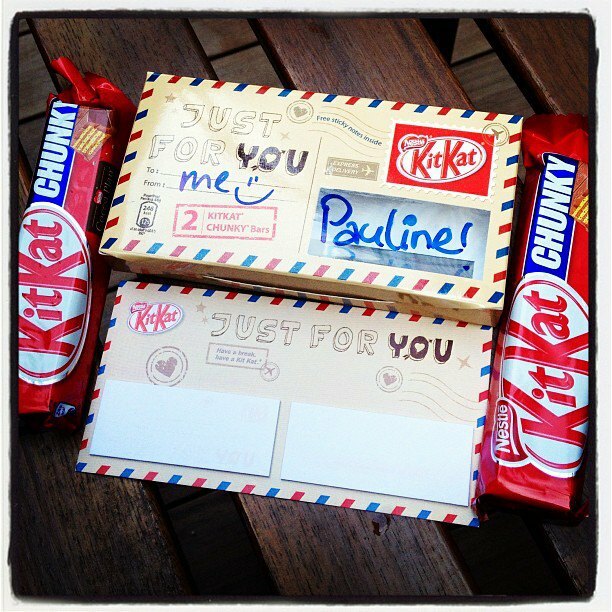 This is something that I never expect at all! We started with only 100 chairs in the morning, we added 20 chairs in the afternoon, and another 40 chairs in the late afternoon! There were people standing at the sides where no chairs were placed as well. I am amazed. I believe many are thirsty and hungry for more in this city. I was reluctant to lead a slot with all the organising and coordination going on. Yet, in the end, the 8-9pm slot was left open and I knew I had to take it. The first person I had in mind was Chitrani, a cellist, whom I used to worship together. We haven’t played and worship for a while. Amazingly, she replied almost immediately. It was on the evening when she arrived that she told me she spent 10 years of her primary & secondary school years in this actual CHIJMES compound. It broke her heart that CHIJMES became commercial years back. To be able to worship in the Hall where she used to have chapel services brings back so much memories for her. This is one big miracle that only God can orchestrate! Being led by different worship leaders with different styles and team, the Lord showed me how diverse yet unified His body is. The expression of worship, even in music, can be so varied, yet the Lord is among us in all the worship. In joyful jubilation, in quiet meditation, and in faith filled declarations, I felt God’s tangible presence. The morning (9am-1pm) was a desperate invitation for the glory of God and I felt the first wave of God’s glory fell. The afternoon (1pm-6pm), there was a peace and stillness that fell upon the people with an uplifting of hearts. The evening (6pm-9pm) was another wave of outpouring of shekinah glory and empowering. I know that God was tangibly present in the Hall as the atmosphere was charged. I stand amazed at what God put together. There was no direct church support except thirsty and hungry hearts of individuals who want to worship and bless God in the city. This is only a small event and God is able to do greater and bigger things than this. I am a small conduit in which He chose to work through. Through this, my faith is greatly enlarged. To God be the glory! 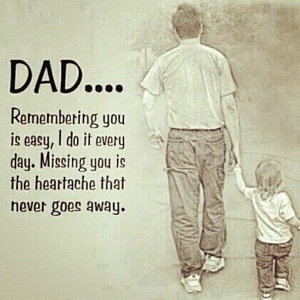 I miss my daddy. Miss him so much. I was daddy’s girl. Miss the fun I had with him, the discipline he enforced on me, the gifts he showered upon me and most importantly, being who he was in my life. Daddy was a strong warrior who fought hard and well with cancer. He was atheletic and well-built but was half his size when half his stomach was taken from him. Chemotherapy and radiotherapy took him to another level of battle. There was not one word of complain throughout all the medical procedures and treatment. Chemotherapy weakened him further and all he said was that food tasted very strange. Radiotherapy left huge patches of burnt skin on his back and it seemed that my heart ached more than he did when he endured it matter-of-factly. At times his face cringed with pain, even so, he rose above it by being attentive to those around. He treated the nurses and health staff with much kindness and appreciated very help. Even though he struggled so much physically, mentally and emotionally, he chose to enjoy life as much as he could. He learnt different senior citizen sports after the cycles of chemotherapy and radiotherapy. It was strange having daddy at home so often but it was good. I knew his days were numbered. My prayer to God was “do not take him home until He accepts Jesus Christ as his Lord and Savior”. One day he collapsed at home. This time the doctor confirmed that he was not going to last. He was hospitalized for about 2-3 weeks with stronger chemotherapy. Not through the usual IV, but one that was inserted directly to his heart. Yes, he had a plug at his heart. The time came when the doctor alerted me that he only had less than 2 days. I stayed by him in the hospital throughout. He was in coma, not able to respond. 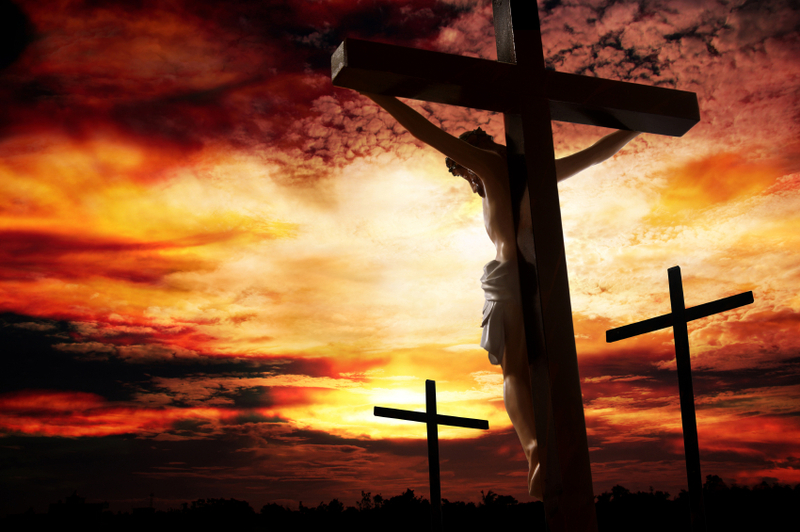 I sat beside him and kept singing “Yes, Jesus loves you” tenderly by his left ear. The next day late morning, he woke up. In his weak voice he said, “I want to be baptised”. Our pastor rushed down that very afternoon and baptized my father. After the baptism, he managed to whisper some last instructions to me and a farewell… then he went back into “sleep mode”. His pulse was getting weaker. I continued to sit next to him, and held his hand. When it was almost midnight, I knew within me it was time for him to go. I kept my fingers on his pulse. True enough, not long after his pulse stopped. There was a glorious glow on his face with a smile. I believed he met Jesus. There is no other way to explain the glory reflected on his countenance. Daddy fought his last 11 months with such grace. He taught me so much about endurance, and the giving of self. I am so thankful that my Father God is a God who answers prayers. He did not allow my daddy to be eternally seperated from Him. I know that although daddy’s presence is taken away from me now but I will meet him in the glorious Kingdom of God after the return of Christ. Happy Father’s Day, my dearest Daddy! You are dearly missed. Life is full of ups and downs. For me, the past decade or so was plagued with significant downs that feel like a terribly strong person driving a punch into my abdominal with all his might taking all my breath out of me. Still, I pressed on and kept the faith. I continued serving the Lord, I lived my life and tried to enjoy it as much as I could. Yet within me, I was drained and emptied out. In my mind, I know that this should not be the case for believers as God is my everything. He is more than able to heal me and I should be rejoicing for the salvation of the Lord with the indwelling of His Holy Spirit as a guarantee of His promise. The truth of God that I am so familiar with was not aligned with what I was feeling within me when I laid everything bare. Did I miss something in this fullness in this life that Jesus promised for He is not a liar? When our physical bodies are unwell, we see a doctor. What happens when our spirit is unwell? What happens when our emotions are so broken by the arrows of life? Inner healing ministry is not something new to me as I was exposed to it almost a decade ago. That exposure created a basic understanding of the make-up of our being, being body, soul and spirit. When any of these 3 parts are injured, our whole being is affected and we feel misaligned on the inside.The exposure was more to be equipped with some basic skills to minister to those who come to me. I was desperate for wholeness and to live fully in the promises of Christ. Last week, I went in search for Inner Healing ministries, praying that God will grant me some help through this. This new season is too important for me to miss out on God’s wave because of all the baggages I have. I need to offload them as they had stubbornly stuck to me even though I tried shaking them off. They became so heavy that I doubt I could run to catch God’s wave, not to say to even enjoy. There are many ministries out there which does inner healing. There are those that are very comprehensive and requires 10 weeks sessions going through all my history for a thorough “spring cleaning”. I did not have the luxury of 10 weeks and so I needed something that is a one-session based, at least for a start and if it is proven that I need more, then we will arrange again. So I chose SOZO. It is a one session inner healing and I will start with this and see how it goes. It is a little intimidating to go for something like that, at least to me. To bare my heart to a team of people whom I have never met and for them to pray with me over matters that can be private and intimate. Thankfully, a friend came by to say hi before I entered into the room for my session. His familiar face brought much comfort! I had a team of 4 people and I can sense God’s love and gentleness in them. My session was almost 3 hours! I think mine was a little longer than usual. They asked me some questions, not a whole list but some basic ones. What I realized in the whole session, it was not the counselors who were counseling me, but they were there to faciliate me to hear and receive from God direct. They led me in prayer, but mainly to ask God to reveal to me what were the lies that I had believe, the truth God wants to speak to me in the situation and blessings or gifts that God wanted to give me. The answers to these questions came from God to me direct. I will get words or impressions to the questions directed to God. At no point in time they actually gave me any advise from their lips, only to help me to understand and probe deeper what some of the impressions I received from God. They were also tuned in to the Holy Spirit to lead me to the areas that are wounded so that healing can take place. There were quite a number of wounds which I thought was not of great consequence were the ones which I felt the most pain when surfaced. These have unconsciously affected me and I didn’t even know! Each time a wound is closed, I sensed a weight being lifted from me. The lightness and freedom I felt, like shackles that weighed and bound me were taken off me. I cried lots, so much that my eyes felt so tired at the end of it. With my puffy eyes, I praise and thank God for His deliverance after the session. I am still in the making for perfection when Christ comes, but the extra unncessarily heavy baggages have been taken off me so that I can move forward with lighter steps! Hallelujah!! 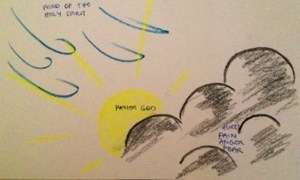 A picture drawn by one of the counselors for me during the session. This is exactly what happened! Last Saturday, 20 April 2013, I was looking through my iTunes library and found a recording of prophetic word released to me in 2006 by a highly respected minister of God. The focus of the word was directed to my impending mission work in East Timor where I was sent out at that point in time. The summary of the word is that God will perform signs and wonders through me in the land and the lives of the people will drastically improve through community transformation. As I look back, I know deep within me that I did not walk in the fullness of the prophetic word that was given. In my own assessment, I believe I walked about 20-30% of what God intended for me at that point. I did witness AMAZING signs and wonders and was blown away but what I experienced was only the tip of the iceberg that God has in store for me. 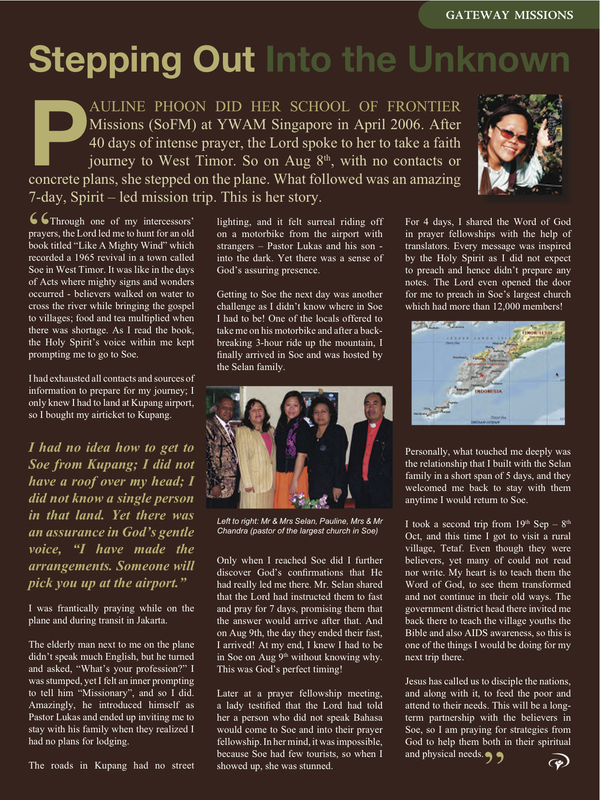 The journey to Timor was so amazing that YWAM Singapore Faces magazine featured a summary of the my story of how I ended up in Timor. Upon coming back to Singapore, due to pressures from all sides, I did not continue the work and missed out on God’s promise for myself to see the transformation that God will do in this beautiful island. God’s destiny for Timor is not hindered by me as God is bigger than this, but because of the decisions I made, I missed out in being part of a move of God that He has invited me to be part of so as to experience Him in a different way. Below is the article in FACE that summarized God’s amazing work in my journey of mustard faith in 2008. My church is taking hold of the promise that 2013 will be a year of moving into the new level, a higher level. This is also what the Lord put in my heart as I crossed over into 2013. New level means getting out of my own comfort zone and trusting God in ways I never had before. I cannot let my fear of man and fear of the unknown shortchange me of walking in the fullness of God’s blessings. The only person who can hinder my journey with God is myself. Here’s the song that has given me much encouragement and strength and hope it blesses you as well! O God, give me Your faith to walk this journey ahead! I do not like to teach. It is not because I do not want to share what I know, on the contrary I want the persons to learn it well and good. I feel inadequate to teach, the sense that I am never good enough. Let another who teaches better do it so that more people will benefit rather than me being the hindrance to their learning. For many years, Rev Dr John Tay has been persuading me to teach at his Biblical Studies classes. I used to teach the class in 2005 but it was a really small class of five people. Early this year, he asked me again. I know I cannot run away anymore. Not from Rev Dr John Tay, but from God. So I agreed, and with the teaching it also includes writing books which are materials for the Biblical Studies program. Last Tuesday (26 March 2013) I sat in to refresh my experience of the class since it was almost a decade since I was last in his Biblical Studies class. I was INTIMIDATED! There were almost 30 students and most of them are much older than me, and I can tell that quite a number of them are leaders in their respective churches. Who am I to teach them the Word of God? I probably should be learning from them instead! Rev Dr John Tay is a well-respected man of God who has spent years in studying the Word of God and pastoring his church. People are here to be taught by him and definitely not me! I felt smaller than a mustard seed… Next thing I know, Rev Dr John Tay will be away next Tuesday and asked me to co-teach with another lady. My heart was in my stomach. Sunday Service on 31 March 2013, my pastor read Isaiah 60:1 “Arise, shine; for your light has come, and the glory of the LORD has risen upon you” and said this is for me and Ben. Timely reminder for me for this upcoming teaching. Monday night, 1 April 2013, was tough. I did not sleep well at all, freaking out! The next day, the actual day, was even more challenging. To take my mind off, I met up with Christina, had some food, walked around a little, and sat down to run through 1 Corinthians 3-4, which are the chapters to be covered for the class that evening. When it was time for me to leave for the Singapore Bible House where the class is held, I was dragging my feet. Christina decided to send me to the Bible House and got me chocolates! Along the way, she clocked a $11 fine as she forgot to insert her cashcard when passing through ERP (a road toll). =| O God please let her appeal get through and the fine be waived! Thank God for sisters-in-Christ who made sure I get to where I need to be regardless! Dr Susan taught 1 Corinthians 3 while I was to teach on the following chapter and also on essay writing (their first assignment for this term!). I love Dr Susan’s insights and enjoyed her teaching, and I was secretly wishing that she will continue and finish the class!! When she passed the mic over to me, I was trembling inside but still trying to look composed. Something like a duck looking calm above the waters but the legs frantically peddling beneath the waters! One of the students suggested that we should have a round of brief introduction of the class and so I did that. It definitely lightened the atmosphere and made it a lot easier for me to start although I was acutely aware by then that almost a third of the class are retirees with a missionary and pastor on sabbatical. I do not know if the class can hear the quiver in my voice but I was shaking inside! I faithfully went through what I felt I needed to cover and the class ended. God knows that I needed affirmation and encouragement. Quite a few of the students, some very senior, came and thanked me and said the class was helpful to them. All I needed to know is that I did not confuse them or make their learning even more difficult!!! So those feedback are more than I asked for! Thank God for friends who prayed for me and did not dismiss my irrational fears. The second class is still not going to be easy but I choose to believe that it will get easier as I learn to trust God more in this. That He is the one who puts the words in my mouth and not me. Praise be to God!